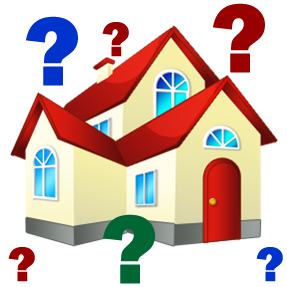 Top 10 Seller Short Sale Questions…Answered! I can’t make my house payments, but I do have an ability to pay back all or part of the negative equity. Also, I want to preserve my credit score…is a short sale right for me? Probably not. In cases where the seller can pay back all or part of the negative equity (usually to the 2nd lien holder), it makes sense for them to work out a repayment plan. The lender will then release the lien and allow the home to close. If I pay mortgage insurance and default on my loan why wouldn’t that cover the deficiency amount? The mortgage insurance is not there for your protection, just the mortgage leaders. Do I have to have my home “Approved” by the lender prior to offering it for sale as a short sale? No. Technically speaking there is no such thing as being “Short Sale Approved.” The actual approval only happens with an accepted offer. I just missed a payment and I know I will miss more…how long does the foreclosure process take and is there time to do a short sale? The foreclosure process takes differing times depending on your state. In the Midwest a foreclosure can take over a year. In California it’s taking 6+ months. Generally speaking a well-priced short sale being processed by an educated short sale listing agent will sell and close in less than 120 days. Property taxes will always have to be paid as part of any accepted short sale. Whether it’s you or the lender, it depends on their policies and the specific agreement you reach while negotiating the short sale. I owe more than my home is worth and I can’t make the payment. Do I have to somehow qualify for a short sale? The simple answer is NO. If someone can’t make their payment and they are otherwise insolvent, they qualify for a short sale. Note: Insolvent simply means their total debts are great than their assets. Do I have to pay income taxes…I have heard that I will get a 1099. Will the loss the bank takes be treated as a taxable gain to me…the seller…is this true? It was true, now it’s not. Consult your Tax Attorney or Qualified CPA. Very recently the tax law was modified and now most people who do a short sale will have no taxes due. How do you, my listing agent get paid…who pays your commission? No. Late last year most major lenders started accepting short sale offers from sellers who have never missed a payment. No. Both of your lenders will need to be satisfied in some way to complete the short sale. If your first lender will be paid off by the sale, then you just negotiate the terms with the second lender. Most short sales do involve 1st and 2nd lien holders.